Delight your guests with a fun favor at your next baby or children's event. 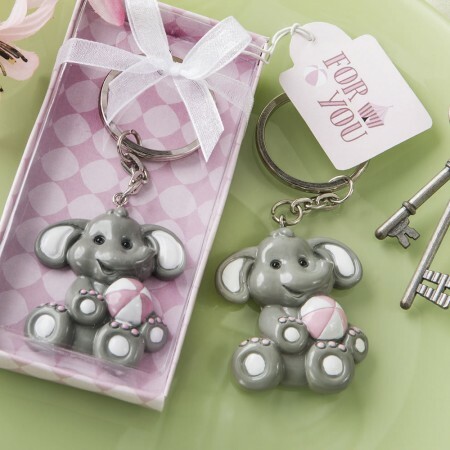 They can keep this adorable baby elephant key chain favor close at all times to remind them of your special day! The little elephant is made from sturdy poly resin and is painted in a light grey with white ears and feet. She has a huge smile on her face and a long curly trunk. The elephant holds a white and pink ball and has matching pink accents on her hands and feet. 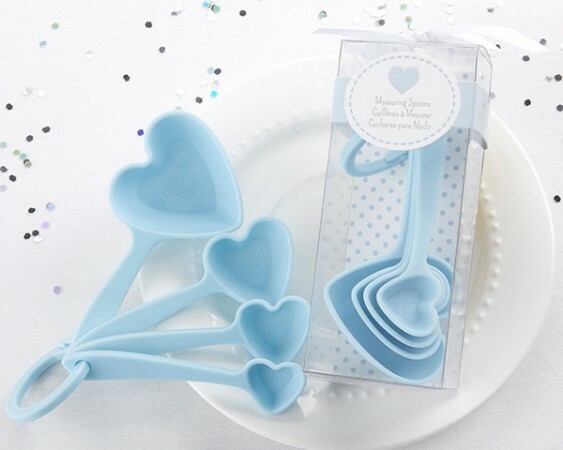 A fun favor for baby showers, christenings, 1st birthdays and other children's occasion.